The Light Work blog is excited to present this reflection by Susan Lipper, recent Guggenheim Fellow and 2004 Light Work Artist-in-Residence, on the work of Kristine Potter, 2014 Light Work Artist-in-Resident. 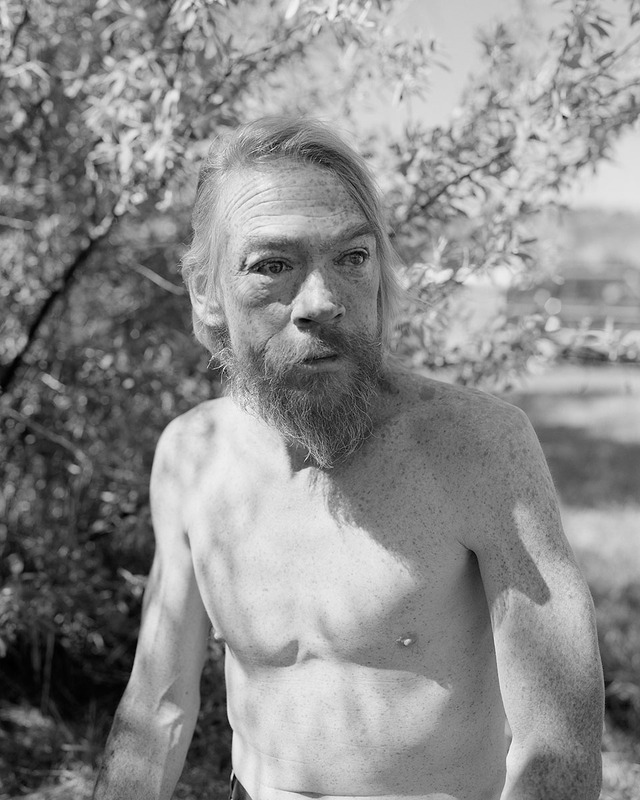 Both graduates of the Yale Photography MFA program and women photographers working out West, it is a unique pleasure to read Lipper’s words on Potter’s images. 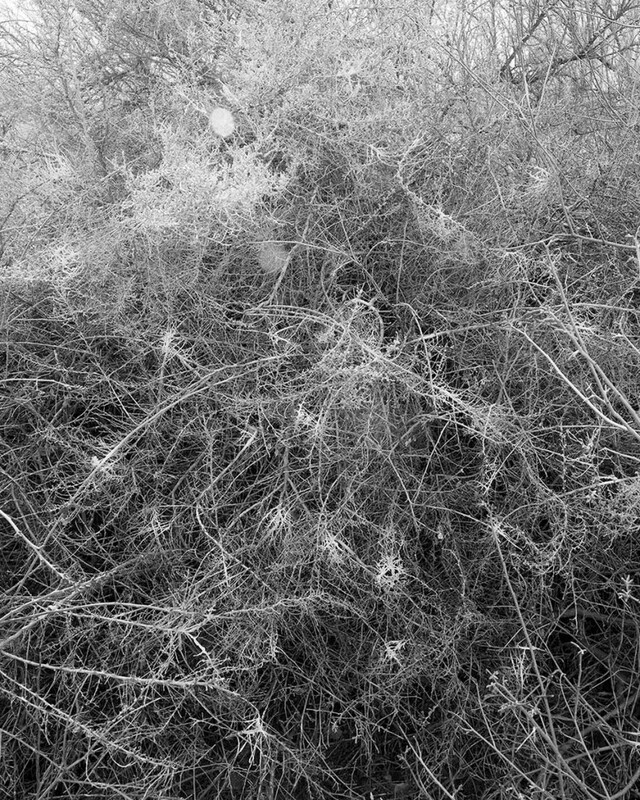 In thinking about Kristine Potter’s fascinating Manifest series, Gertrude Stein’s off-quoted phrase “there is no there there” came to mind: that beyond our looking at these exquisitely crafted images, taken over three years on the Western Slope of Colorado, both portraits and landscapes, we are also looking at a fantasy of a fantasy. In addition, this work is interesting because as a woman and photographer, I cannot help but question the imagined personal risk involved in manufacturing these works with all the necessary transaction involved with sitters both pre- and post-portrait session. (In general though the perceived effort behind the making of an image does not sway me.) In reviews of this work I’ve read written by men, this topic is not broached. Perhaps I am reading too much, but the question constantly returns: “What is she doing there?” Why this ongoing playing with chance that the shooting of a portrait in presumed isolated locations with strangers (who are mostly unaware of the art context and perhaps confused by the initial invitation to be photographed) will go as planned and negotiated? This is not to say that the risk taking isn’t completely admirable. Then, finally, who are these pictures for? Who is the intended audience? Not that it matters because the work is formally rich enough to transcend such divisions. However, I feel we are looking at more than an August Sander–esque documentary series of the Western male archetypes at a particular point in time; we are also looking at a double-sided portrait, containing both an investigation and a projection, where we imagine the self-image of the photographer as some kind of solitary huntress–perhaps lion tamer–and evidence and celebration of a new brand of feminism. 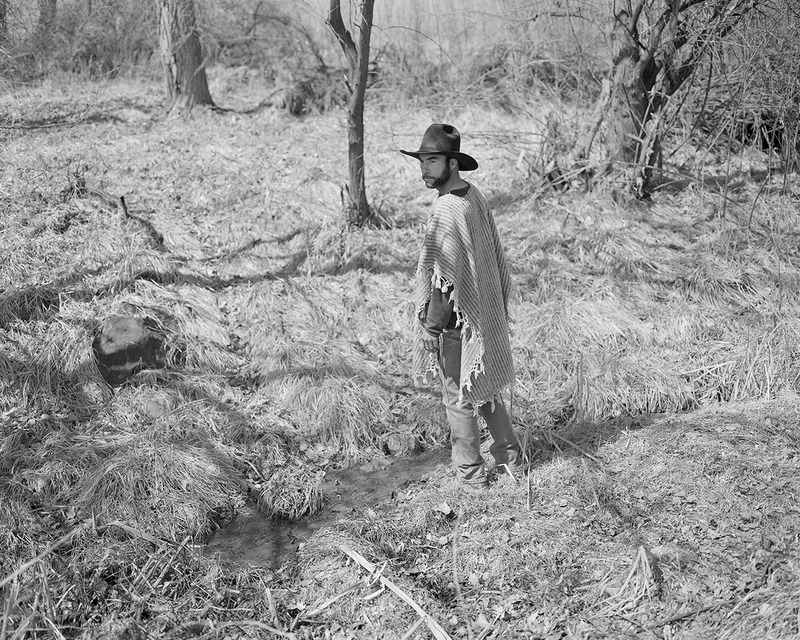 As we follow the artist’s journeys from the “cultivated” East to “wild” West from the cadets of West Point in her 2010 The Gray Line series, to the different uniformed personas of the cowboy and loner in Manifest, we sense an increased risk of personal danger due to these new uncharted and semi-lawless subjects. Her journey perhaps mirrors the once-cherished Manifest Destiny myth where personal heroics ensured our American right to prevail. More to the point, I suspect that the photographer, like many of us steeped in the evolving face of patriarchy, is rethinking that grand nostalgic notion. Accordingly the Manifest series intentionally and necessarily aims to record the changing reality versus the well-trodden mythology of the West. Perhaps this is where the truncated but still beautiful landscapes come into play–not that I doubt that Romantic nineteenth-century vistas were also plentiful. In any case the men depicted here, despite their rugged individuality, do not seem up to the task of discovering/rescuing America. Further, it appears that even our distinct concept of America as an isolated country is fading. How is the country to be seen as actually quarantined from the rest of humanity forced to heed the prevailing forces of global economics and capitalism? So much of the previous search for heroes seems like closing the stable door after the horse has left. Realistically our hopes should probably no longer be with the individual, no matter how much he is like the film character Crocodile Dundee, victorious both in the Outback as well as among the powered elite. Potter has assembled her male subjects almost as if they were reverse film noir character heroes bathed in western light. However, while they are empathically portrayed, their personal space is intentionally constrained and mostly there is nowhere for them, the artist or viewer to go, which is both symbolic and a breeding ground for confrontation. Admirably these men wish to retain their otherness and resist being commoditized. This friction endows each portrait with an electric charge. 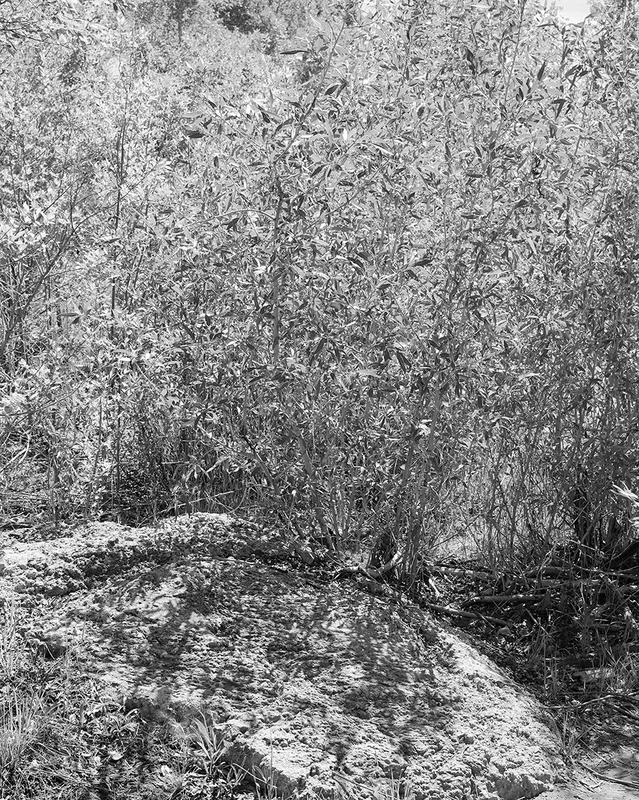 So much so that in one of her almost set-like shallow landscapes, Winter Landscape (spots), 2014, I persist in reading the trace of a bullet hole piercing “the surface” of dense vegetation. Susan Lipper is a New York based artist. She received her B.A. in English Literature from Skidmore College in 1975 and her MFA in Photography from Yale University in 1983. Among the monographs on her work are Bed and Breakfast, 2000; trip, 1999; and GRAPEVINE, 1994. Lipper is represented, amongst other places, in the collections of the Metropolitan Museum of Art, New York City; the Museum of Contemporary Art, Los Angeles; the San Francisco Museum of Modern Art, San Francisco; the Museum of Fine Arts, Houston; and the Victoria and Albert Museum, London. 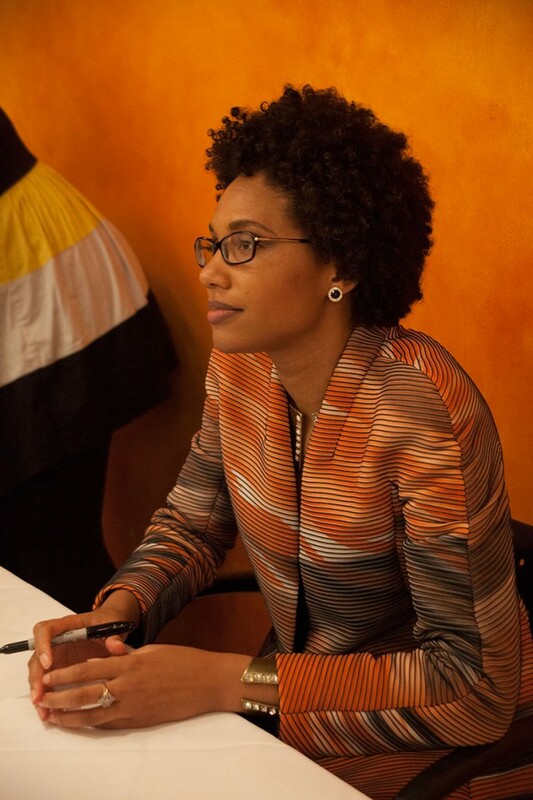 She is the recipient of numerous awards, including fellowships from the National Endowment for the Arts, New York Foundation for the Arts, and the 2015 Guggenheim Fellowship. She was a 2004 Artist-in-Residence at Light Work. She is currently working on an ongoing project in the California desert as the final chapter in a trilogy of her travels from East to West. Kristine Potter was born in Dallas, Texas and lives and works in New York City. She earned both a BFA in Photography and a BA in Art History at the University of Georgia in 2000. From 2000 – 2003 Kristine lived and worked as a professional printer in Paris, France. In 2005 she earned her MFA in Photography from Yale University. Potter’s work has been exhibited in Paris, New York City, Miami, Atlanta and Raleigh, NC. Her work is in numerous private and public collections, including the Georgia Museum of Art, and has been recently featured on Hyperallergic.com, HAFNY.org, among others. She is represented by Daniel Cooney Fine Art in New York City, where she exhibited her 2015 solo show, Manifest. Photographer LaToya Ruby Frazier’s first book, The Notion of Family, documents three generations of women in her family: Grandma Ruby, her Mom, and herself. Yet, it is no ordinary family album. After working for ten years on the project, the book was published in September by Aperture, a non-profit foundation that supports photographers. On Oct. 30, Frazier read several passages from her book during a lecture she gave at the Robert B. Menschel Media Center at Syracuse University. 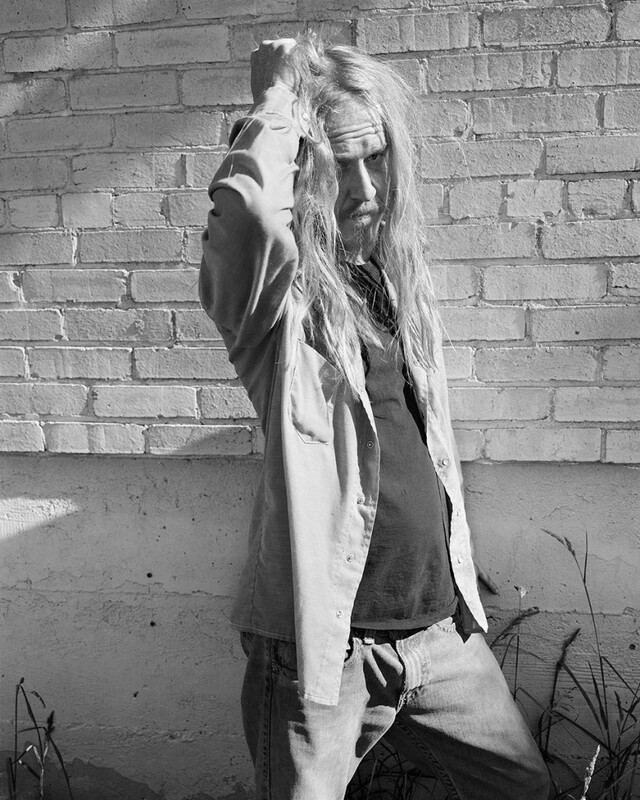 The SU alum is primarily a photographer, but also works in performance art and videography. In The Notion of Family, she captures the effects of the industrial landscape of Braddock Pennsylvania on its community and conveys this complex dynamic through an intimate portrait of her family. She focused on the social, economic, physical, and emotional toll of growing up with Andrew Carnegie’s first steel mill, the Edgar Thomas Works, as a neighbor. In Oct. 2009, the community was informed that the University of Pittsburgh Medical Center (UPMC) would close Braddock Hospital, said Frazier. She is unforgiving of the hospital’s abandoning of its people and showcases photos of her family receiving care for their illnesses, people protesting its closing, and now, how the hospital decays from lack of use after it closed its doors and stands as a memorial to economic decline. She stressed the importance of keeping a critical eye on television, the news, radio, and social media and urged the audience to be aware of how they affect one’s notion of what constitutes us as people – race, class, gender and religion. Frazier recalled when she first discovered that Andrew Carnegie library in Braddock omits all African Americans from the historic suburb’s history. “Peoples’ histories and narratives are all constructed. It is important I insert myself into my history,” Frazier said. 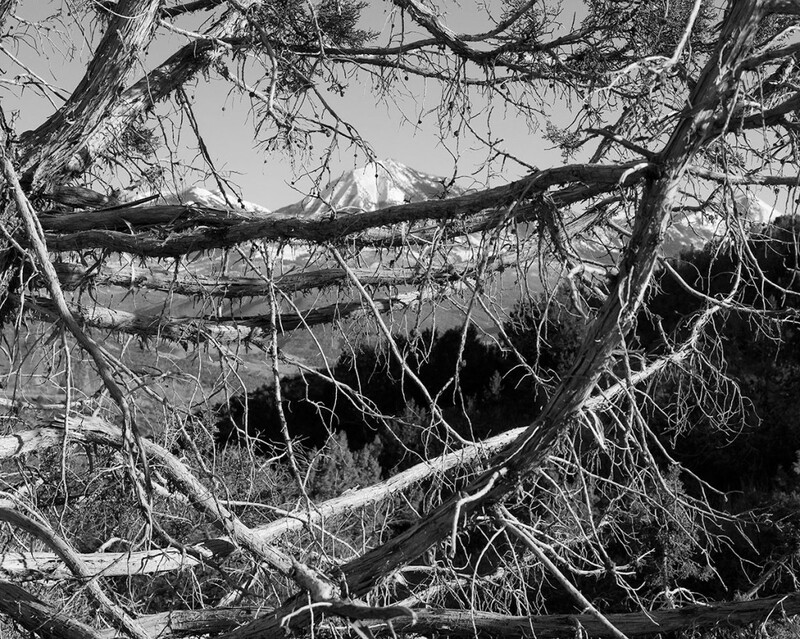 Frazier stands up to institutional racism and environmental degradation with her camera. Her photos of her family are a testament to the community’s ability to endure. “I want to shed light on invisible realities,” Frazier said. In her hometown new housing projects are being built, more people will be able to live there, but with the closing of the hospital they have nowhere to go for healthcare in a polluted city. She told the audience of the progress that Braddock is making today; artists are moving in; retail stores are opening; cultural capitol is coming in. “They don’t think I have a right to tell this story – I am making Braddock look bad. They say: we moved beyond this,” Frazier said. She acknowledges that revitalization efforts are happening in Braddock, but remains critical. “A restaurant was put in the Braddock mayor’s apartment building. What we needed is a grocery store, not a restaurant we can’t afford,” Frazier said. At the conclusion of the lecture, Frazier expressed her hopes of using the money from her book sales and her prints to one day start a foundation to advocate for, help, and support the families living in Braddock amongst the city’s blatant ironies today. Then, she recommends trying to embody one of the adjectives or adverbs the person tells you with your camera. Lyttle spoke to Syracuse University students and faculty at the Newhouse School while participating in the Fall Workshop, a four-day multimedia marathon where industry professionals mentored students in storytelling, Oct. 16 -19. 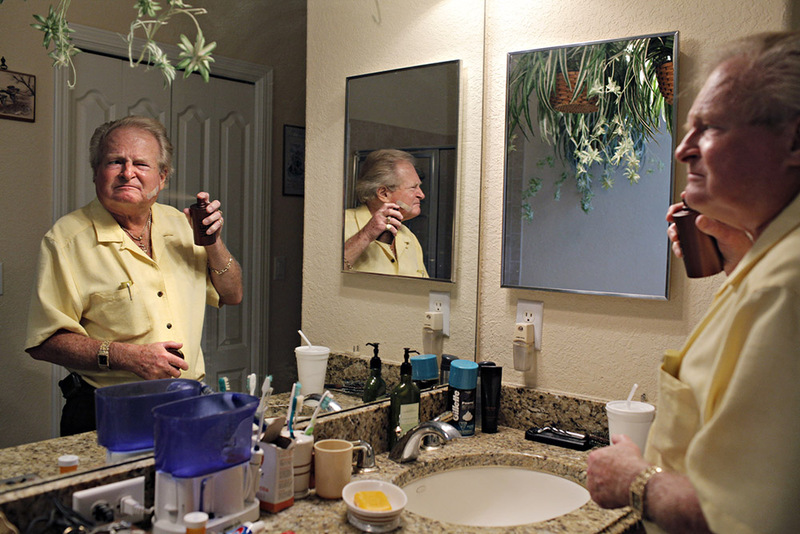 While working for the Tampa Bay Times as a staff photographer, Lyttle did a series called Dispatches from Next Door. Lyttle and a reporter showcased the lives of ordinary Floridians. “Everybody has a story,” Lyttle said. Inspired by National Geographic’s Zipcodes, a feature that shows people what different communities are like, Dispatches Next Door allowed Lyttle to dig deeper into the lives of people in her own community. “I want to introduce people to their neighbors,” Lyttle said. Lyttle sees stories everywhere. “Read the walls,” she suggested. A can at a convenience store counter asking for donations for two little girls’ lemonade stand, a flyer tacked to a bulletin board, the classifieds section of a newspaper, diners, community centers, all of these are places brimming with stories yet, to be explored. Throughout Lyttle’s career, her earned reputation for photographing people with respect resulted in people reaching out to her and asking for her to cover stories. She ascribes this to her ability to photograph a subject with real understanding. Once, Lyttle said, she received a call asking her to work on a story involving a feral child who had been neglected for the first seven years of her life by the people who were supposed to be her family. According to Lyttle’s website, the photo series and accompanying article received more responses from the public than any other story for the paper. Lyttle and Tampa Bay Times reporter Lane DeGregory were nominated for Pulitzer Prizes. DeGregory won the 2009 Pulitzer for Feature Writing. As she spoke to the crowd at Newhouse about this shoot, and talked about the girl who had to learn what love is, Lyttle’s voice was filled with emotion. There was no questioning Lyttle’s passion for photography and her admiration for the resilience of people who may be living next door. 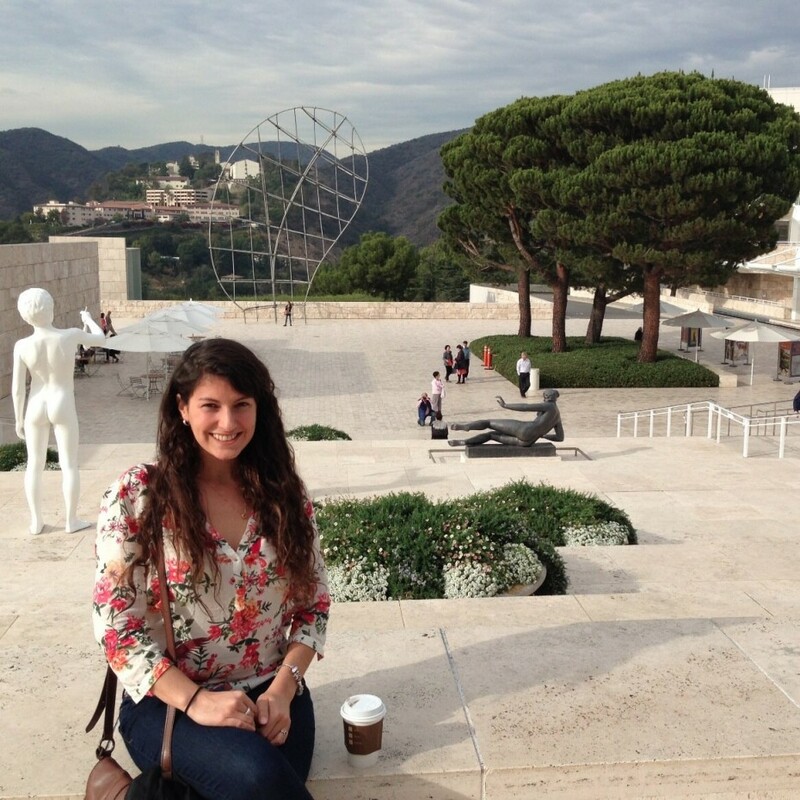 Light Work is pleased to introduce Lauren Cavalli as our new Light Work Blog Correspondent. Lauren is currently a graduate student in the Goldring Arts Journalism Program at the Newhouse School for Public Communications at Syracuse University. She will be contributing several posts a month on a variety of topics of interest to photographers in and around New York State. Posts will be made every Friday. We look forward to working with Lauren, building new content on the Light Work blog for our vibrant community of photography professionals and enthusiasts. Contact Lauren Cavalli at lcavalli@syr.edu. Contact Jessica Posner, Communications Coordinator at Light Work, at jessica@lightwork.org or 315.443.1263. “Do you have a moon in America?” asked Alio Balde, a young boy from Guinea Bissau, West Africa. 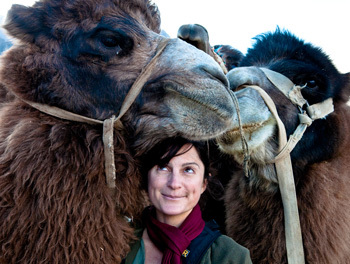 National Geographic photographer Ami Vitale said that this question has guided her approach to photography ever since. She was amazed that Alio, as he was saying goodbye to her and trying to imagine what her home in America was like, did not know whether Americans lived under the same sky. From that moment on Vitale decided she wanted to capture what it is we share as human beings instead of showcasing how we are all different. For Vitale we are all the same. We are all human. In 2000, Vitale was awarded a grant from the Alexia Foundation, an institution that honors the death of Newhouse School student Alexia Tsairis, 20, who lost her life in the terrorist bombing of Pan Am Flight 103. The foundation provides grants and scholarships to photographers working toward exposing social injustices. The grant allowed Vitale to travel to Africa, where she lived for six months, and became friends with Alio Balde. Advice she gave to photographers included not being overwhelmed by all of the amazing technology. She noted that sometimes people let their gear get in the way and they end up missing a great moment unfolding before them. When traveling Vitale said that 99 percent of the time she is dealing with poor lighting, a problem almost every photographer is familiar with. Instead of fretting about not being able to control the light Vitale goes indoors to shoot. “When people take you inside of their own homes the interior landscapes can make great moments,” Vitale said. When talking about safety, Vitale urged the audience to research a place thoroughly before traveling. She emphasized the importance of establishing a contact in that country because it’s better to know someone who lives locally. If you don’t have a contact, she suggested asking colleagues if they have any. Upon arriving, her first move is to meet the community leaders of an area. If you do this and explain to them what you are doing then you will be granted greater access into people’s lives. “Photography shouldn’t always be about taking,” Vitale said. “It’s about giving back.” Vitale tries to always give gifts. Wherever she shoots she finds the closest one-hour photo shop and makes prints, then she runs around handing them out to the people she had photographed as a token of her appreciation and a memento from her visit. Light Work tote bag, screenprinted logo on natural canvas. 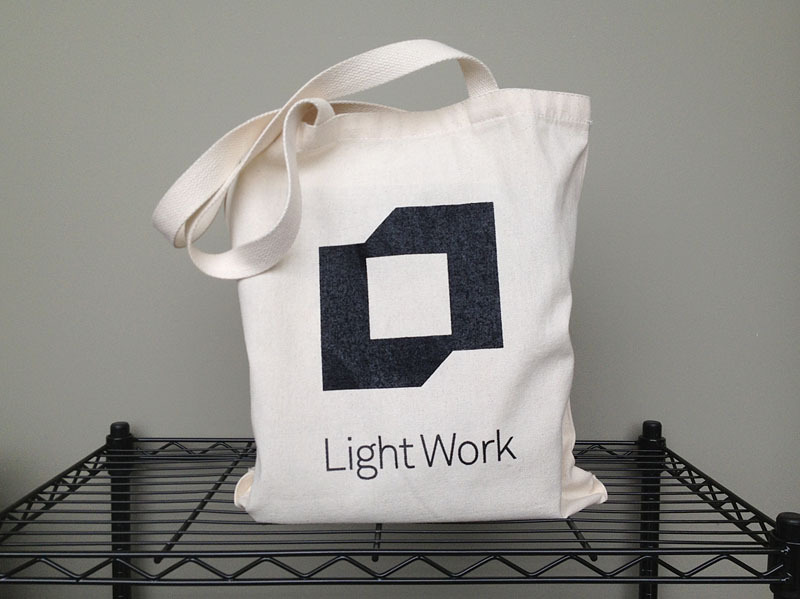 Light Work tote bags are now available in the Shop. Get yourself one for only $12! Order here.